On March 21, 1947, acting on an anonymous tip, New York police officers broke into the home of Homer and Langley Collyer, two brothers who had withdrawn from their social circles 14 years prior. What they found inside was a chaotic clutter of baby carriages, 14 pianos, 8 live cats, dressmaking dummies, clocks, marble statues, stacks and stacks of newspapers and magazines, the chassis of an old Ford Model T, pictures, posters, banjos, many hundred yards of various fabrics, over 25,000 books, records – and tragically the two lifeless bodies of Homer and Langley Collyer. Langley had died from a lack of oxygen after he had fallen under the bits, rubble, and odds and ends the brothers had accumulated over the past 14 years. Homer, who had been blind and become dependent on Langley, passed away 12 days after his brother on March 21 from starvation. They were 61 and 65 respectively. The brothers suffered from compulsive hoarding, a disorder that can develop at any time in one’s life. 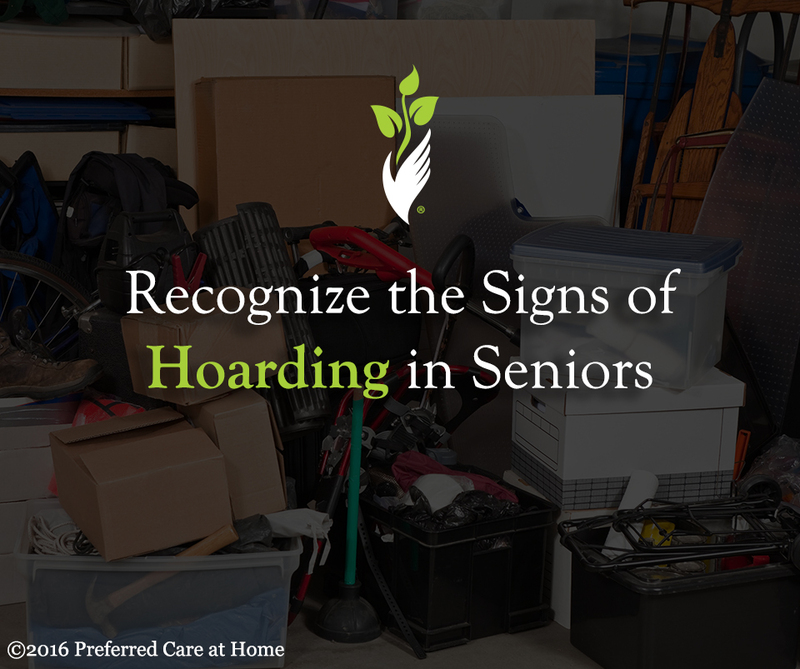 Among the elderly, hoarding behavior can be part of something known as Diogenes syndrome or senile squalor syndrome. If you believe there is an issue with hoarding currently or on the horizon for someone in your life, it should be addressed properly or it could lead to significant injuries and even death. Many times the issues only get compounded when the person suffering from compulsive hoarding is left alone, as was the case with the Collyer brothers. This is where increased family interaction or, if that is not feasible, the incorporation of an aide, companion, or caregiver could make all the difference and bring a bit of order to their chaotic world.